CITY OF SAN FERNANDO -- Reelectionist Third District Representative Aurelio Gonzales Jr. is now running unopposed in the coming May 13 local elections. This, after Gonzales’ lone opponent, a certain Cecilia Canlas of Sta. Ana town, officially withdrew from the province’s third district congressional race. Commission on Elections (Comelec) provincial officer Fernando Cot-om told SunStar Pampanga Thursday, March 21, that Canlas formally filed her notice of withdrawal at the provincial official morning of March 19. “She [Canlas] did not cite any reason for her decision, nonetheless we accepted her notice of withdrawal,” Cot-om said. With the new development, Cot-om said that Gonzales only needs to secure at least one vote to be reelected for his second term as member of the House of Representatives, and increased his chances of taking the leadership in the congress. 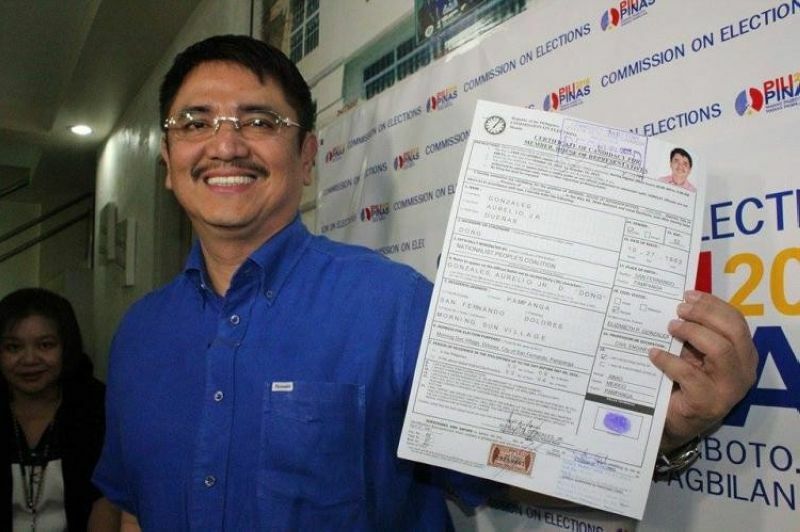 Earlier, Gonzales was reportedly among the strong contenders named by the ruling Partido Demokratiko Pilipinas Lakas ng Bayan (PDP-Laban) for the House speakership. If officially voted in, Gonzales will be replacing fellow Kapampangan former president and Second District Representative Gloria Macapagal-Arroyo who is set to make an exit from public service after her full term expires.